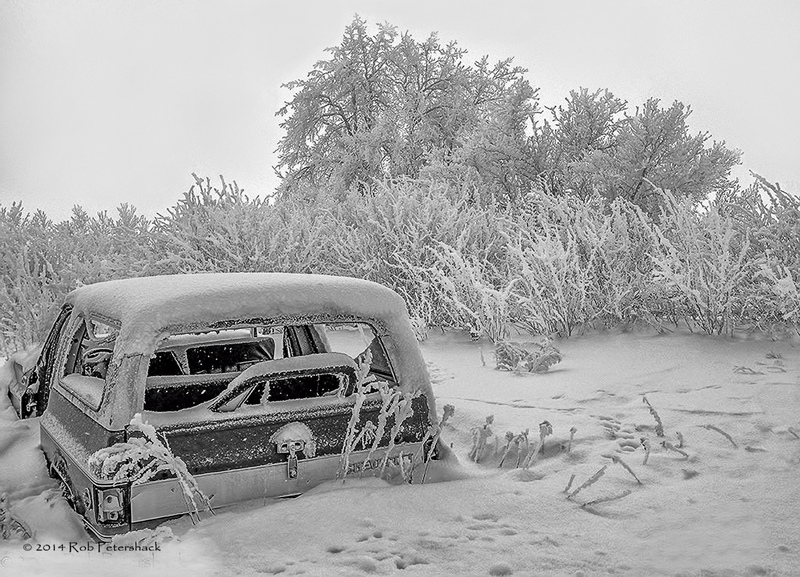 This old Chevy wagon was in a field in Petersburg, North Dakota. 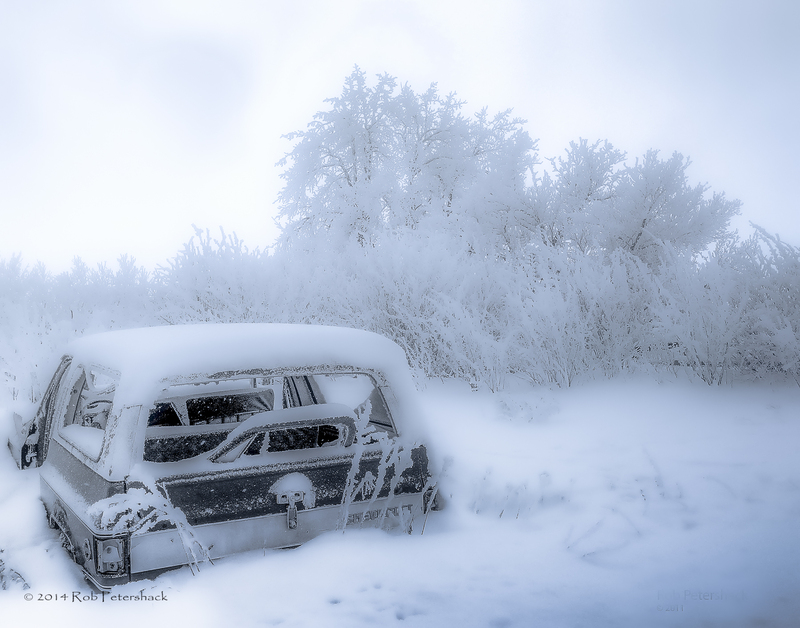 It must have pulled off the road years before we came across it after we had pulled off of Hwy 2 so I could photograph the hoarfrost that coated the trees in town. While I never thought of this as a photo of the back of things, when I saw Cee’s Black & White Challenge: Back of Things this photo was a natural, albeit with a little help from Tiffen’s Dfx filters.